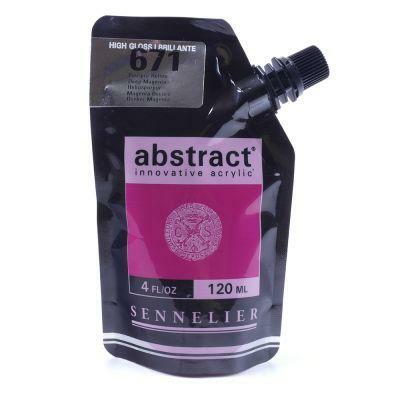 Sennelier Abstract Acrylic colours are a heavy-body multi-media acrylic paint with high pigment concentration. This high quality acrylic paint is manufactured in France and is packaged in a flexible pouch that will completely transform your painting technique. These 12 colours in this range all have a High Gloss finish. Now available in 12 High Gloss colours in 120ml pouches.